Either way, I've had both wheel wells packed with slush and blasted our with a hose with no issue,,,, so far. We will all agree there are to many unknowns here but either way the part (over stressed/ under engineered) would not of been covered by Mazda/the dealer as already stated by the OP. I dislike that the liner is two pieces and split in the center. Should of been one piece. Consumer laws override what any dealer "thinks". Personally I don't give a damn what they think. The vehicle must be fit for purpose and in this case it was not...period. I concur, my highway driving can average over 36mpg but city is 21-23mpg. This sounds like an exact replication of what I experience with my 6. Heck, I get 18.5-19.0 in city driving in my 330hp/4,400lb G37X coupe, and 30.4 under the same highway conditions that yield just over 37.5 in my 6. Perhaps you can understand why my 2010 G37 will be in the stable long after the 6 gets sent down the road. For the sake of full disclosure, the G does require premium fuel to do its thing, so the comparison is kind of apples to oranges. Also, the G gets Motol X-Max 10W30 for lubrication, but even being boutique priced oil, it's still no more expensive than Mazda 0W20 with Moly. I really do wish I could like the 6 more than I do, because in the end I'll get spanked hard when it comes time to unload it. Oh well, I've made worse automotive mistakes in my day. At least the 6 doesn't have a POS CVT driving its massive 185 horses, like so many auto slushboxes these days, including the 9th gen 4 cylinder Accord. Your G37x must be a freak. I just got rid of my 2010 G37xS Sedan and I got nowhere near that gas mileage and I didn't beat on it. During the winter I was averaging 14-15 mpg around town (averaging 30mph according to the computer) and on highway trips I was getting 25-26mpg max. 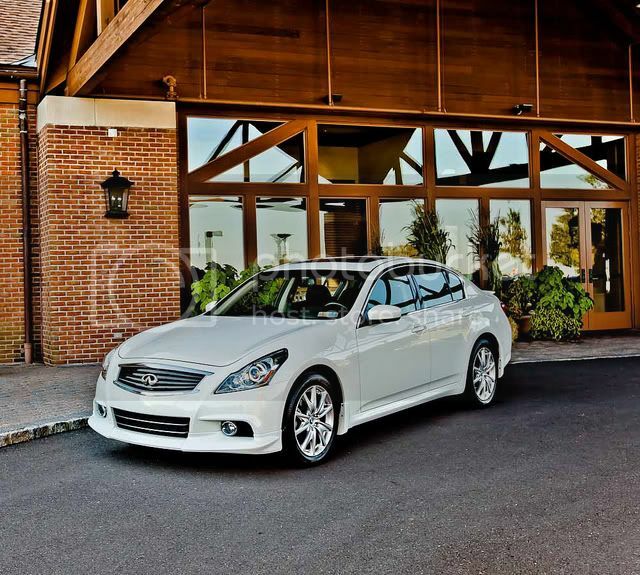 I loved the G37 and mine was fully loaded, but I ended up wanting something with better gas mileage, regular fuel and a little bigger. I had a '03.5 G35 back in the day. Was around 15 city/24 freeway IIRC. My 6 has been around 26-30 city and 37-42 freeway. Getting better the more miles I put on it, but I'm damn happy with anything in my range. Of course, my driving style has changed over the years quite a bit. I had a fill up a couple of weeks ago where (in fairly heavily weighted toward freeway driving) my mileage was almost 41.5 MPG! I grateful my G is the freak. Heavier than your G37 sedan, my Infiniti coupe gets substantially better mileage than your Infiniti sedan ever did, yet my 6 gets much worse mileage than your 6, presumably apples to apples. None of my cars get beaten on. Over the years, I've learned that cars are like people, no two are alike. To each his own. Glad your 6 has met your needs and wants. The rear-wheel biased Haldex AWD makes the the G37X the all-season choice over the FWD 6 any day of the week in terms of power, stability, and absence of torque steer. I won't be jacking this thread any further. Thanks for your imput. I agree that the AWD in the G37 was pretty nice for our harsh winters in the Northeast. I like the performance of the G37 significantly better than the Mazda 6, but in the end, I was looking for ways to save some money and I will be saving a ton of money this way because everything is less expensive for the 6. Very nice xS sedan. I've seen that shot on the G37 forum. I hope the person who ultimately bought it appreciates the value in the car. No car is a total package, irrespective of price. However, for what the 6 does bring to the table, it's no surprise that so many folks here really appreciate the car. Had I picked up on the car's deficiencies earlier on, I may have been happier opting for the Touring with tech vs. spending almost $28k for the GT, but I just couldn't stomach the leatherette seating. I believe the cloth interior was much more nicely executed in the Sport, but my wife's knees couldn't handle a manual transmission, and arguing for that would have been like saying her needs don't matter. I think the 6 gives a strong argument at $22-24K, but much less so when it approaches the $28-31K mark. YMMV. Doesn't make me right, and somebody else wrong.